The Fiscal Periods tab is where the company yearend is decided. There is also a place to lock periods that are complete to prevent accidental posting. Note that 3 fiscal years are available for posting. 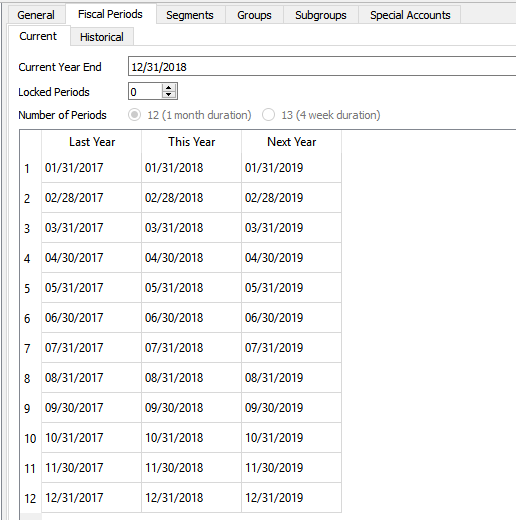 When the yearend function is performed, last year gets moved to GL history and can no longer get posted to.